There has been a new innovative approach from a company called WorkLight which has launched a platform, which will enable companies to develop smart phone and tablet applications by using a combined coding of native and web languages, within the same applications. The platform called WorkLight Mobile Platform 4.0 will certainly provide rich user experience. This new release also includes unified push notifications which works simultaneously on Android and iOS platforms. These notifications also have the ability of skinning of apps running on same platform and also for better optimization of iPad and Android tablets. WorkLight Server for secure delivery and backend integration. 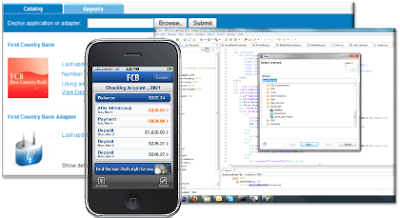 WorkLight Studio for native and web application development. WorkLight Console for management and tracking of apps. For more information about worklight, visit HERE.